Editor’s note: Today’s post is by Kong Yang, Technical Director of Enterprise Solutions for Vertex, which develops tax management solutions for business. Vertex uses Chrome browser for Vertex Enterprise, their fast and user-friendly platform that unifies business tax data and can be leveraged on a global scale. Anyone who’s filed a tax return knows how complex tax calculations can be. Every improvement Vertex makes to our products helps our customers simplify tax calculation and reporting, so they can file taxes and create reports faster. Vertex Enterprise, our tax technology platform, helps customers handle indirect tax data calculation and reporting through a single platform that can be used across all tax processes. By optimizing our products for Chrome browser, we ensure our customers have a secure and productive environment for calculating business taxes and running tax reports, so they can focus on analyzing results and making better business decisions. One question we often hear from our customers is how we keep their data safe. Chrome browser supports the security headers we chose, including headers that help us block cross-site scripting attacks and add protocols for secure HTTP communications. By using these security headers, we can give our customers peace of mind about the privacy of their tax data. In addition, data in every Chrome browser tab is protected through sandboxing built right into the browser. We don't hit technical limitations with Chrome browser, so we’re able to focus on other important tasks, like building new features and inspecting code in real time on the back end. This helps us troubleshoot customer issues. We can reproduce the precise problem or performance lag that’s happening on the customer side, and figure out very quickly how to fix errors. Our customers love it when we can resolve an issue just a few minutes after they report it to us. Our customers have high expectations that our products will simply work the way they’re supposed to, without glitches or slowdowns. 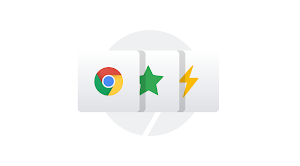 We feel the same way about Chrome browser: in our experience, Chrome browser just works, no matter what new product features or updates we throw at it. 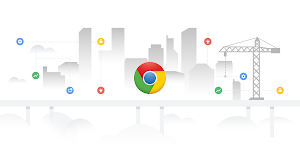 By optimizing our platform for Chrome browser, we can focus on building products that make managing taxes easy, and our customers can focus on their businesses.